When Paul Suen Cho Hung&apos;s Trillion Trophy Asia acquired Birmingham City FC in the summer, one of the longest-running takeovers in the football league came to an end and Carson Yeung&apos;s blighted reign finally ended. 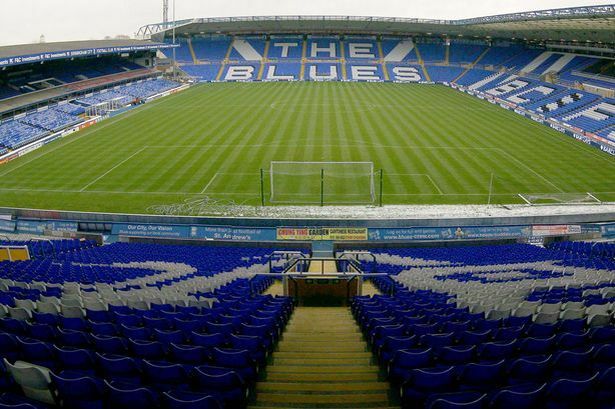 Hong Kong-based Trillion Trophy Asia - incorporated in the British Virgin Islands - has a two year exclusivity agreement with Blues parent Birmingham International Holdings, giving the club some much needed stability. And the 55 year-old head of the new owners is a man with a reputation for turning round distressed businesses. He is known as "the King of the Penny Stocks." Promotion to the Premier League is a priority, underlined in December with the shock sacking of Gary Rowett, to be replaced by ex-West Ham and Watford manager Gianfranco Zola and his backroom team. Gary Rowett only lost 32 of his 106 games, but the new Chinese owners wanted the benefit of Zola&apos;s pedigree and top-level experience. He was educated at the University of South Australia where he obtained a Masters in business administration. He is currently chairman of Enviro Energy International Holdings, a position he took up in June this year. He has previously run, or been a significant shareholder in a number of Hong Kong Stock Exchange-quoted companies including BEP International Holdings, Sunlink International Holdings and Huajun Holdings. He owns Excelsior Kingdom Ltd and Global Wealthy Ltd and has extensive experience in managing metals, mineral and raw material companies as well as energy, property and strategic planning in Hong Kong and mainland China. He is a shareholder in China Strategic and Courage Marine Group. Enviro Energy is involved in natural resource investment and information technology, with its main focus being the exploration and development of environmental energy projects. Trillion Trophy Asia acquired 50.64 per cent of Birmingham International Holdings and is in the process of hoovering up more shares with a 15.1p cash offer. The company has made sure Birmingham City has the working capital it needs to carry on its business and participate in the transfer market. This cash injection is much needed. The club made a pre-tax loss of more than £5 million in the year to June 2016 on a reduced turnover of £14.71 million.